I am dazzled by the almost-blinding sparkle of snow as I walk my little dog on this late winter afternoon. On our walk on this day, with the temperature hovering round 20 degrees, we are warmed by our brisk pace and the growing power of the sun’s rays. We are also encased in the glow of pure sunlight reflected off pristine snow. It is simply put: glorious. Everywhere I go, people are complaining about this winter and wishing it away. They are yearning for the mild, mealy-mouth, wimpy winters of recent years, winters where I have yearned for the drama of a good old fashioned winter. This is it: a winter filled with winter. I am not wishing it away. . I love these walks on days like this as well as the drama of a storm with its howling wind and swirling snow. I love curling up in cozy rooms with roaring fires, snuggling on the couch with the dogs and lots of good books. 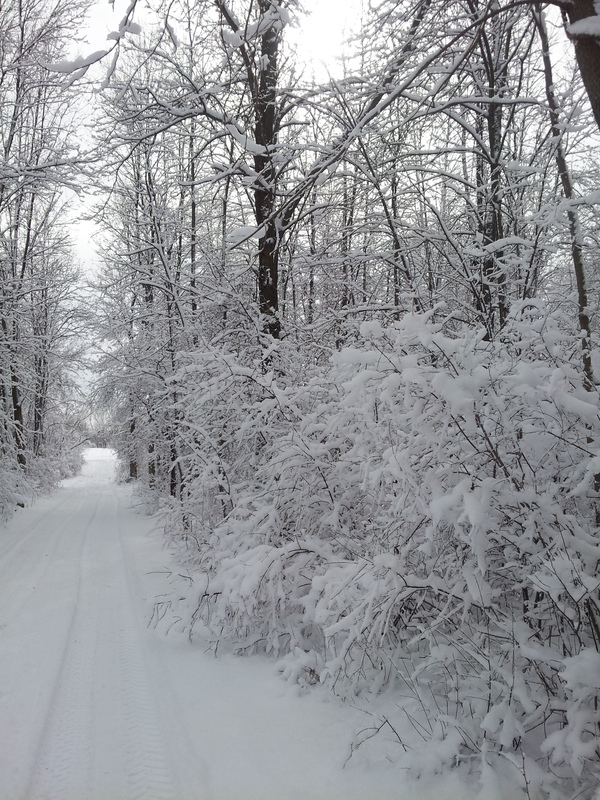 I love getting my exercise by shoveling our driveway – sometimes two or three times in a single day! Soon the maple syrup will be running and the sweet smell of it boiling will perfume the air. Soon the ice will go under in the Finger Lakes – swallowed up all at once into the depths as the cold water beneath emerges to the top. Soon the snow will melt from the lawns and gardens and the earth will have that rusty, vibrant smell that only fresh mud has and soon the geese will be moving, their honking a distant reminder that we’re moving from late winter to early spring. I will love this, too. All the subtle nuances and smells and celebrations. I love them all – the seasons and all the in-betweens. And through them all I will walk my little dog.